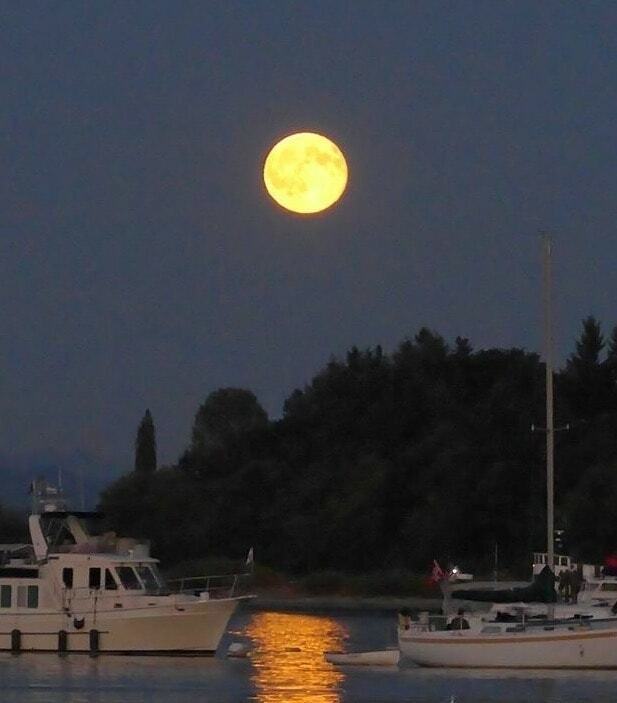 Bainbridge Island, specifically Winslow Wharf Marina, has become our favorite place to visit this last year. Grace was brand new, so shaking out all of the bugs and getting used to things was a priority. Winslow Wharf Marina is only about an hour by motor from our home marina, Elliott Bay Marina. I think we visited here at least 5 times this season, if not even more! Josh in the cockpit enjoying the sun! This weekend was great weather-wise, and it was one of the first times that Josh was able to come along on a trip without tons of extra people, which was very important to me! It was also a huge full moon, which we were able to see while sitting in the cockpit on the warm summer night. One of our favorite things about Winslow is Doc’s Marina Grill, specifically their Chicken Fried Steak. It has to be one of the top 3 that I’ve ever eaten! The return trip was not as fun, as there was hardly any wind, so motoring was the primary method for movement. We explored a bit of the Blakely Rocks and headed back home, a restful weekend had by all! Winslow Wharf is one of our favorite places to visit. 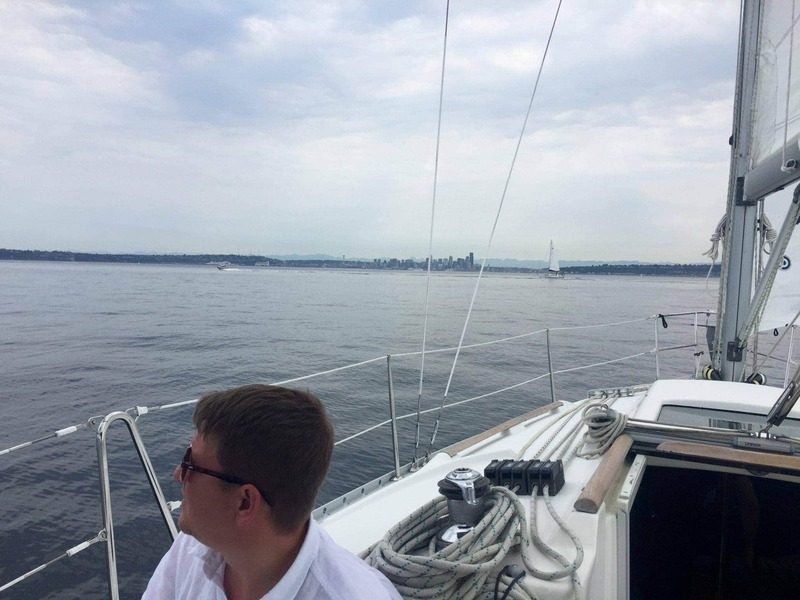 Less than 2 hours from our home marina in Elliott Bay, you can have a day of sailing in the channel, and head into Winslow Wharf for a nice dinner at Doc's Marina Grill. Grace first official trip and a rescue! 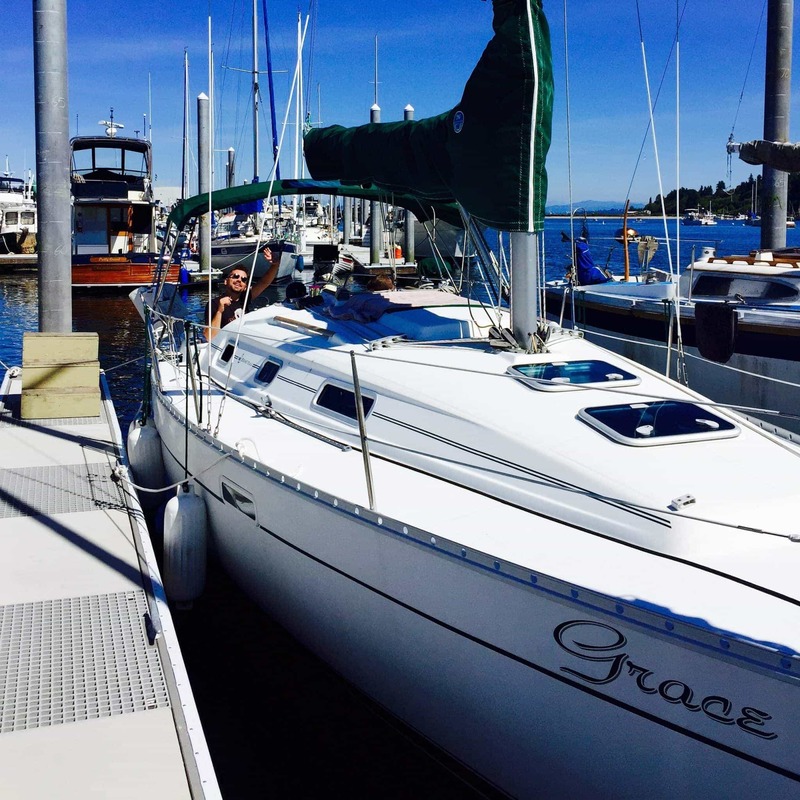 This was Grace's first real sailing trip and we ended up with a lot of drama! We participated in a major rescue, visited Poulsbo and Bainbridge Island, and ended the weekend at Blake Island cooling off.